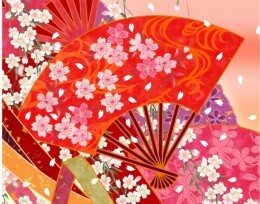 April brings the cherry blossoms to Japan and Asian Heritage Month to America. Wright State University’s Asian/Hispanic/Native American Center is celebrating with a month full of themed events including Asian Culture Night 2013…a night of cultural explorASIAN. Asian Culture Night will feature Kabuki & Onnagata: The Making of a Woman, a special performance revealing a unique behind-the-scenes transformation of a Japanese Kabuki artist. Asian Culture Night also consists of traditional ethnic folk dances and an elaborate fashion show. Dr. Maki Isaka, an associate professor of Asian languages and literature at the University of Minnesota, will discuss the history, background and special characteristics of Kabuki, mainly onnagata (female impersonator), where a male plays a female role. Female impersonation has been an important aspect of the kabuki dramaturgy since the 17th century. The lecture examines how this theatrical gender impersonation has shaped both the concept of femininity and the economy of gender construction in Japan. The United States is often described as a nation of immigrants, a characterization that some feel erases the history of indigenous people to the formation of the nation. At the same time, many Americans harbor intense fears about “the huddled masses” from other shores. 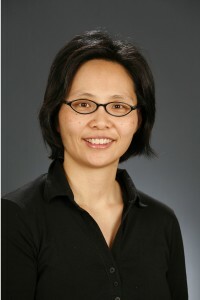 In this multimedia presentation, Judy Wu, Ph.D., associate professor of history and coordinator for the Asian American Studies Program at The Ohio State University, will explore the historical origins and contemporary manifestations of how the U.S. became a gatekeeping nation. The lecture focuses on the groups, many of them stigmatized by race, that the U.S. government and people have sought to exclude and restrict to socially engineer ideal Americans. To curb the country’s exploding population, China limits most families to one child, or in certain circumstances, two children. Due to cultural, social and economic factors, traditional preference leans toward boys, so girls are often hidden, aborted or abandoned. As a result, thousands of girls end up in orphanages across China. 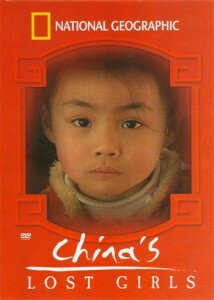 About 80,000 girls have been adopted from China into American families in the past quarter-century. National Geographic and Lisa Ling join some of these families as they travel to China to meet their new daughters for the first time. Along this emotional journey, Lisa Ling shares in the joy of these growing families and also witnesses firsthand China’s gender gap, examines its roots and discusses its possible repercussions. Wright State students in the Chinese Writing Course will showcase their proud artworks in Chinese calligraphy and brush painting April 17–23 in the Multicultural Lounge (161 Millett Hall).